1. Half onions, toss with oil, salt and pepper, and grill for 15-20 minutes. 2. Remove from grill and small dice. 3. Mix in scallions and set aside. 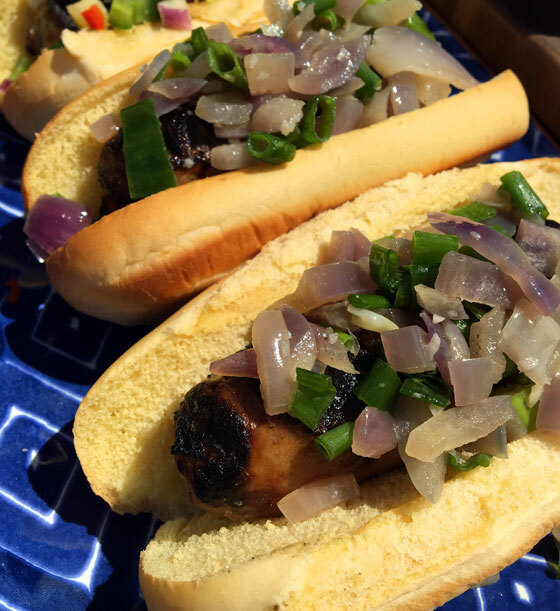 Makes a great addition to grilled sausage on a potato roll.